Humans are singular beings. We have many gifts that make us unique among all living beings. We are active and conscious creators and we are capable of constructing and destroying our personal, social and natural surroundings. Through the development of science, technology and media, we have brought about drastic cultural changes and we have altered our values and ways of living. It is true that in this global era there have been great contributions to humanity, but globalization has also created and unbalanced situation that affects the identity of individuals, the integration of families, the viability of communities, and the ecological balance of our planet. Given these circumstances, it becomes necessary to understand education as something that goes beyond formal learning and curricular activities. As teachers and institutions we need to play a central part in the integral formation of students, promoting sensibility, reflection, and critical consciousness. We must give them the intellectual and emotional stimulus to help educate complete beings in every sense of the word, capable of knowing themselves and able to change and act in the world with sensibility and responsibility. 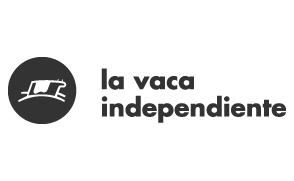 Following that premise Claudia Madrazo founded in 1992 La Vaca Independiente®[The Independent Cow], a social enterprise focused in educational transformation and human development. She developed the innovative education methodology dia® [Development of Intelligence through Art] which enables the transition of the teacher as unilateral transmitter of information, into a mediator of a deep learning process that invites students to share responsibility for their learning and human development process. In 2010 she co-founded the Academy for Systemic Change, an initiative to enable leaders, communities and networks in critical systems to catalyze and facilitate societal, environmental and economic well-being on a scale that matters. La Vaca Independiente® The focus of La Vaca Independiente is to create spaces for reflexive dialogue through methodologies that potentialize the individual and collective capacity. La Vaca Independiente manages the dia methodology that provides teachers, students and parents the capacity to co-create learning environments, and researches, develops and publishes the literature required to support building this capacity. La Vaca Independiente also offers to professionals in different sectors practices designed to potentialize the capacity of teams and organizations though exploring transformational experiences and conversations. 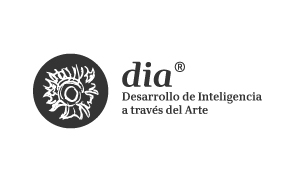 dia® , development of intelligence through art: The dia® methodology was inspired by elements of the Visual Thinking Curriculum (VTC), developed by the Museum of Modern Art in New York. According to the VTC, observing and dialoguing about visual art contributes to the development of analytical, logical and creative thinking. Furthermore, the work of Dewey and Eisner defines art as an instrument for transforming consciousness, a tenet that the dia methodology implements holds dear at level of the person and the social whole. dia® integrates the theoretical foundations of the multiple intelligences approach of Howard Gardner, Reuven Feuerstein´s theory of structural cognitive modifiability and mediation, Daniel Goleman´s approach to Emotional Intelligence, Bruner’s learning theories and Vygotsky´s fundamental contributions on the Zone of Proximal Development and the construction of knowledge through mediation and social participation. dia® has trained more than 25,000 teachers to bring new perspectives into the teaching space, benefiting more than 500,000 students in Mexico and adults in different contexts. How are our habits creating unintended consequences? Is it possible to see where we are going? How can we shift our habits and meet the emergent? © 2014 Claudia Madrazo. All rights reserved.